The Blue Ridge Mountains offer more than 5,000 miles of hiking trails. Many of these trails are fairly long, and only suitable for overnight hikes. Right now, with young children and busy schedules, we prefer trails that can be hiked in the same day, often called day hikes(read all about our 10 favorite trails family hiking trails). While day hikes don’t require the necessary preparation and gear that a overnight or multi day hike require, being prepared is important. We’ve been day hiking for more than six years here in the Blue Ridge, and along the way have really learned what hiking gear is necessary, and which hiking gear isn’t. You definitely don’t want to visit your local REI store, as they’ll send you home with some great stuff, but most of it you won’t need. Tennis shoes get wet – and hiking with wet feet is a great way to get sick, and end the hike with really sore feet. Wet rocks are slick – Falling and breaking a bone or busting your head open when you’re miles out on a trail, and then another 10 – 15 miles from the nearest medical assistance isn’t an ideal situation at all. Rocks along trails and at waterfalls in the Blue Ridge are slick. The downside of boots of course is that they are more bulky and a little heavier. Hiking boots/shoes range from as little as $20 to a couple hundred dollars for a really good pair. A good price range for good quality adult boots is $80 – $100. For kids, $30 – $50. We don’t recommend putting a great deal of money into kids hiking shoes, as they’ll out grown them quickly. We purchase boots for ourselves, and hiking shoes for our kids. I wear Timberland hiking boots and my wife and kids wear keen hiking boots and shoes. Both brands are decent, and provide the necessary features without being too expensive. For summer hiking, a decent pair of shorts and a t-shirt will suffice, but isn’t optimal. Something many people forget to consider when hiking in the Blue Ridge is that it rains often and unexpectantly. Rain storms can come up out of the blue (pun intended), and soak you. Standard cotton clothing does not due well in these conditions, and as someone that has personally had to hike back to our car for more than 2 miles in wet underwear, shorts and and shirt, it’s not a pleasurable experience. I was chaffed in a number of places for days, not to mention really cold, and this was in the summer. For winter hiking, cotton can literally mean death. I know, we’re talking day hike here, but seriously, it’s cold and a rain or snow storm suddenly shows up, soaks you, and you’re miles away from your car, your clothes can freeze, resulting in hypothermia, and possible death. The best way to solve both of these issues is to wear non-cotton, “quick dry” moisture wicking clothing. Just being a little frank here, you’ll find that your best investment will be in quality underclothing. Chaffing for men and women is a real problem when hiking and can turn your wonderful hiking trip into a miserable experience. If you are just purchasing day hiking gear, and don’t plan on any longer hikes, a small amount of cotton is fine, say 20% or less. Me in my summer day hiking gear. Shirts – I have a number of non-cotten, stay dry shirts, but my favorite is the Adidas Climalite Tee – They do have 15% cotton, but it helps with comfort and is a low enough of a percentage for day hiking that it’s not a concern. I would not recommend these for longer hikes. Shorts/Pants – My goto summer hiking shorts are a pair of Eddie Bauer Travex cargo shorts, but there are many other really great brands including Columbia Silver Ridge Cargo Shorts. When temps are cooler and vary more, I wear a pair of Eddie Bauer convertible pants. These are great as you can just zip the legs off when you get hot or if you need to wade any creeks. Cargo pants are crucial for me though in either case. When hiking, you just can’t seem to have enough pockets. Socks – Socks are another item you don’t want to “skimp” on. Socks have a direct impact to how comfortable your feet are when hiking. Buying a good pair of hiking socks can make or break your day hike. Shirts – Again, we want to avoid cotton as much as possible. Jenn (my wife) wears a number of different “stay dry”/moisture wicking shirts, but her favorite is the Columbia Women’s Skiff Guide 3Q Sleeve Shirt. Shorts/Pants – To be real honest, Jenn hasn’t found a pair of hiking shorts she really loves just yet, but the closest are the Columbia Women’s Cargo Shorts. 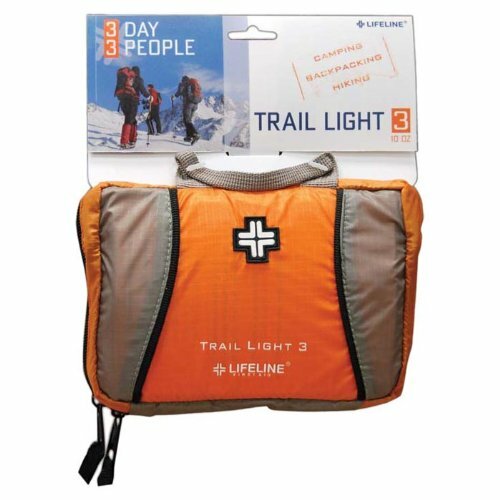 They are light weight, nylon and have lots of pockets. On our list is to get her a pair of convertible pants as well, unless we find something on sale, we’ll be purchasing the Columbia Women’s Convertible Pants. Socks – Jenn prefers standard thin athletic socks, like the Hanes Women`s Cool and Dry Women`s Ankle Athletic Socks. She doesn’t like for her feet to get hot. Neither one of us wear hats, but I do sweat a lot and carry cheap cotton bandanas with me to wrap around my head and to use for many other purposes as well. As I said, appropriate shoes and clothing are the most important and essential items for your hike, but there are other things like food, water and supplies you’ll need to carry along with you. 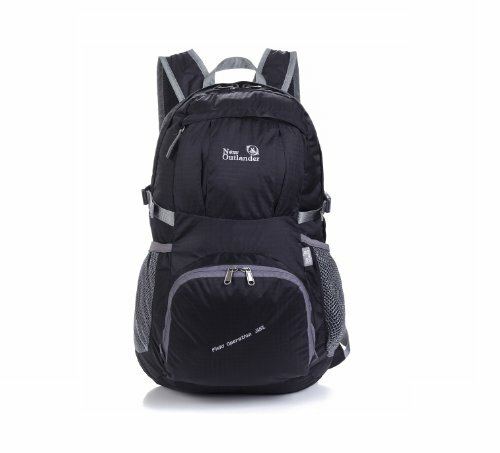 You’ll need something to carry all of this gear in, which is when a lightweight day pack fits the bill. When we hike, everyone generally carries 2-3 bottles of water, spare clothes and whatever other items they want to bring, like small cameras, iPods, etc. One person carries the main bag, and Jenn and I carry our camera bags. For their own bags, our kids prefer simple Nike gymsacks. Personally I don’t know how they do it with the thin straps, but it’s their choice. Large enough to hold everything we need. Folds up into itself into a small pocket sized bag. My only complaint is that it has no waist or chest strap to make it more stable. I’m sure they left these off to keep the weight down, and really a minor complaint, but I do miss them not being there sometimes. Staying hydrated and keeping your energy levels up while on the trail is critical, even while on a short day hike. This is particularly true during the warmer summer months where humidity levels and temperatures can be high in the Blue Ridge. We typically pack 2-3 bottles of water per person. Many of the creeks and streams in the Blue Ridge are crystal clear, but don’t be tempted to drink the water. While it’s probably safe, don’t risk drinking it straight from the creek. If you want to drink creek or stream water, always boil it first. Personally, we’ve never done this, and bring our own water with us. Just not worth getting sick over. All of these are full of protein and sugar, two very important ingredients when hiking. The snickers bars of course are really bad for you, but come in really handy on longer hikes when you start to run low on energy. We store all of the food in ziplock bags, so the smell doesn’t attract any wildlife, especially bears. We also bring an extra ziplock bag to store any trash or wrappers for the same reason. Tip: If you ever get approached by wildlife, especially a bear, group together, make lots of noise, and move to higher ground. If you have food in your pack, drop the pack, and keep moving away. Chances are the bear smells the food in your pack. One thing we’ve learned is NEVER forget your camera. We have never been on a hike and not wanted to get a photo of something or someone. So make sure you bring your camera. Smaller cameras pack great in your day pack wrapped up in a Bandana. If you have a DSLR and associated gear like we do, investing in a quality camera backpack is a wise investment. I personally use a LoweproFlipside Sport 15L, best camera backpack ever in my opinion. Plenty of room, light weight, water resistant and comfortable. Toilet Paper/Tissue – In a small ziplock bag, we carry both tissues and a some toilet paper. With kids, especially a little girl, you just never know when you might need it, especially on longer hikes. Oh, and don’t leave it on the ground like we’ve seen many people do, bring an extra zip lock bag to put your used toilet paper in. Sadly, this is a common problem at popular places like Graveyard fields. First Aid Kit – We’ve never had to use one, but have used it for other people and children while hanging out at waterfalls. Definitely something you want to carry in your day pack. Bear Bell – There are black bears in the Blue Ridge, and if you hike enough you will run into one. We’ve seen two on our hikes over the past few years. A bear bell will warn the bears of your presence, and in most cases scare them off before you see them. Rain Ponchos – After being soaked, far too many times, we’ve started carrying rain ponchos with us. One thing you can count on in the Blue Ridge is unexpected rain showers. Pocket Knife – Like Bandanas, the uses for a small lightweight pocket knife are endless. I never hike without one. The link is to the one I personally carry, due to it’s lightweight. Sunscreen – Protect yourself from the the sun, especially when hiking in open areas or above the tree lines. Flashlight – Flashlight on a day hike? Well, consider this – You under estimate how long it will take you to get back or you get a bit lost. Night time starts to set in, and you’re still a mile or two from your car. There are no lights on the trails. We always carry two flashlights, just in case. One as a backup. You are in a remote area, that very well could take rescue personal a long time to get to you. The weather could change, dramatically. Considering all of these things, you definitely want to be prepared. 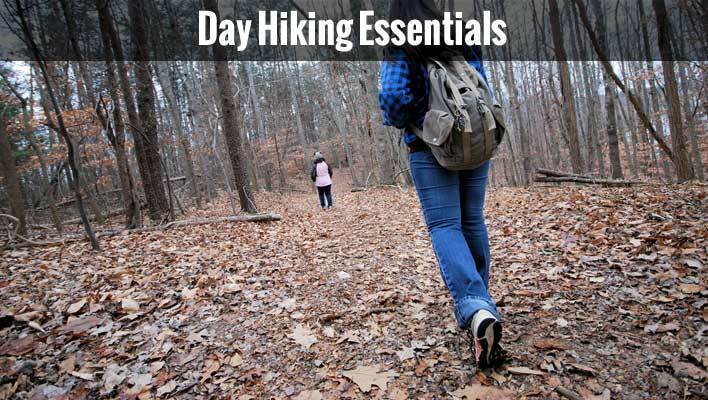 There are many other items to consider, but these are what we consider the essentials for a day hike in the Blue Ridge Mountains. Tactical backpacks can also make for great hiking backpacks, especially under harsher conditions.